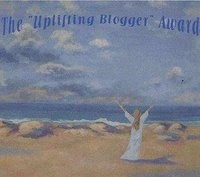 Jacris of Mom’s Special Diary and Shy of Simple Happy Life gave me The Adorable Blog Award and The Uplifting Blogger Award. 1. 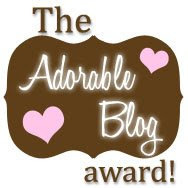 Include the award logo in your blog or post. 2. Nominate as many blogs which you like. Unlike the first one, there are no rules for this award. I’m passing on these two awards to all the Mommy Blogs, Baby Blogs, and Interesting Sites on my blog roll. Go grab them, guys, while they’re hot! 2 Responses to It’s Raining Awards!